The tongue not only provides taste, it is also a window to the health of your body. Daily cleaning of your tongue is endorsed by thousands of years of healthy living wisdom. 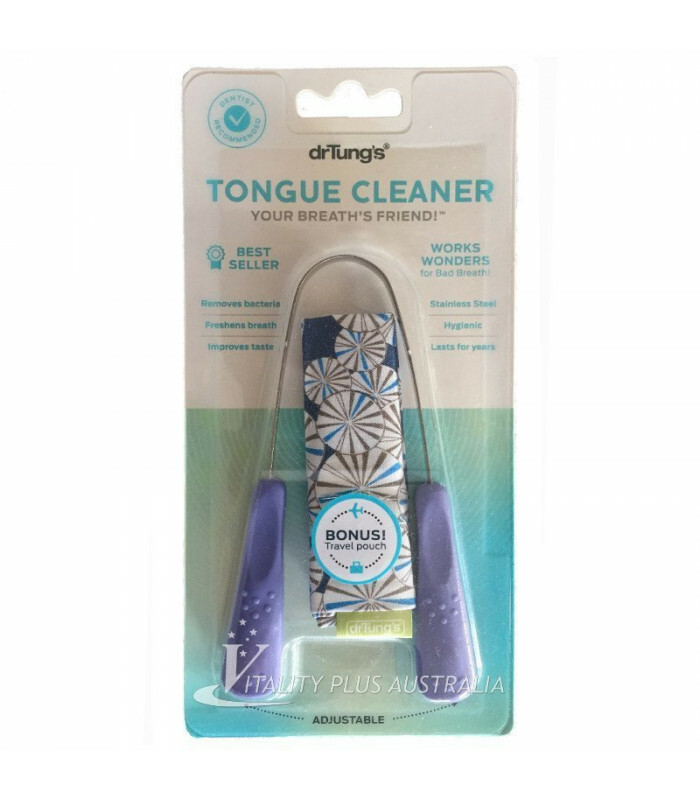 Made from high quality austenitic STAINLESS STEEL, with a curved cleaning edge, Dr. Tung's Tongue Cleaners easily removes bacteria and soft plaque from your tongue in seconds! Now cleaning your tongue is comfortable, quick, and effective with Dr. Tung's. GUARANTEED! Because high-grade stainless steel is used in manufacture, it is impervious to bacteria and is more comfortable and gentle on the tongue than plastic. This is why people prefer eating with stainless steel or silverware than with plastic ware. Dr. Tung's Tongue Cleaners are designed to be efficient, comfortable and easy to use..
Tongue Cleaning is a must for every health conscious human. Known as one of the best remedies for bad breath (haliotosis), Dr. Tung's Tongue Cleaners easily glides on the tongue and removes harmful bacteria and debris even from the back of the tongue. With modern research confirming that tongue cleaning is the best way to remove bacteria that causes bad breath, dental experts say it's about 5x more effective for tongue cleaning than a toothbrush. Dr Tungs stainless steel tongue cleaner is impervious to bacteria and is more comfortable and gentle on the tongue than plastic tongue cleaners. Cleansing your tongue also helps improve your body's taste reception due to the removal of coatings that build up on the tongue and with regular maintenance helps slow the growth of plaque. It depends on where you're starting from but the results can be seen and felt instantly. With the coating that sits on the tongue removed, everything just feels better. It’s just like washing your body! A clean tongue just like a clean body doesn’t have a displeasurable odour. Do many people clean their tongues in this way? It is common practice in many Asian and older cultures. Tongue cleaning was practiced in ancient Rome by the wealthier classes of Roman's in the 18th and 19th century Europe. However, for unknown reasons, the practice did not spread widely in the West. 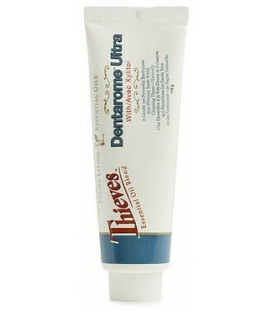 But now, with more research verifying its benefits, and with TV and other publicity, many dentists and hygienists are recommending it. Stainless steel doesn’t wear out and is impervious to bacteria (unlike plastic) making stainless steel or even silver the obvious choice. 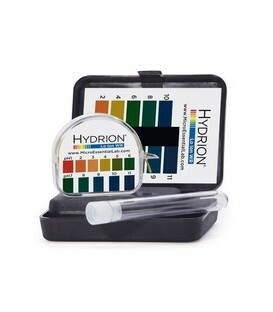 With the U-shaped design, it's easy to clean the back of the tongue where most bacteria reside. As you can use 2 hands, it gives you precise control over the pressure and position of your cleaner. This seemingly simple design has evolved over centuries and gives precise control over the position and pressure of the cleaner on the tongue, making it easy to use and overcoming the gagging problem caused by too much pressure on the tongue (as when trying to clean it with a brush or other one-handed cleaners). As for brushes, soft bristles are generally not effective in removing such viscous substance, especially from a soft object like the tongue. Brushes are really designed for the application of solutions hence the application of pastes to harder surface, like teeth. Research shows that tongue cleaning can help prevent plaque build-up on the teeth. Also by removing the coating on the tongue, it can also help improve our taste perception (because the coating on the tongue dulls the taste receptors). Many people report that they get far less colds and flu. Cleaning your tongue is good for overall health! We suggest cleaning the tongue cleaner regularly - like every few weeks by rubbing it with toothpaste (rather than a chemical cleaning agent). This helps get rid of any residue that may have built up on the stainless steel.